Welcome back for another Techniton Politeia interview! Marbling may appear very simple on the surface -pun intended- but is actually a big fascinating world on its own once you get to know it. So, in order to get an insight into this mesmerizing craft we visit the studio of Jemma Lewis and talk with her about marbling. Jemma Lewis Marbling and Design was started in 2009. Initially it was run by Jemma and her father David. However when he retired her husband Craig came to work with her full time. The studio produces hand marbled papers in the Traditional way using a substance called ‘Carragheen Moss’ and Gouache Paints. The paints are floated onto the viscous substance and using tools and stylus’ we can create a huge amount of different patterns, both traditional and modern. Jemma and Craig work from a log cabin studio at the bottom of their garden in the County of Wiltshire in the U.K. They produce marbled papers for bookbinders, interior designers, furniture restorers and retail outlets who stock the designs. On to the interview then! I initially planned of describing what marbling is in the interview’s intro but I believe you are far more qualified to properly introduce our readers to this peculiar art! To make it even more interesting; could you give us a strictly technical definition and then a purely personal description based on your own perception of marbling? ‘Marbling’ is the name given to the creation of decorative papers by floating paints onto a viscous surface (‘size’) made using an Irish Seaweed called ‘Carragheen’. Patterns are then created using tools and intricate combs. A sheet of paper (treated with a watery substance called ‘Alum’ which acts as a mordant; making the paint ‘stick’ to the surface) is then laid onto the surface of the ‘size’ then gently lifted off to reveal the pattern – now transferred to the paper. Part of the charm of creating marbled papers is that each application of paint to the surface produces only one sheet of marbled paper – so the same processes have to be carried out multiple times to create sheets that are similar, though never exactly matching. So how did you become a marbler? It must be quite something whenever you have to introduce yourself to someone new – god knows I’m having trouble explaining bookbinding and it is considered far less obscure! Trying to explain to people what I do ‘for work’ or what paper marbling is always a challenge, although with an increasing trend in the marbled look within fashion and interiors I am noticing more people becoming aware of it as a craft. When I first came into contact with marbled papers, seeing them as endpapers within antique books at the bookbinders I worked at, it never really occurred to me that making these would be someones job, or indeed that anyone even made them these days! After working at a bookbinders (Chivers-Period, based in Bath then Trowbridge) for several years I was given the opportunity to go along and learn marbling from a local lady, Ann Muir who was looking to retire. After 7 months of learning in her studio, mostly under the tutelage of her colleague Julie a series of unfortunate events happened that led me to where I am today. Sadly Ann passed away and the bookbinders went into administration within a couple of months of each other and I found myself un-employed. It was my Father who suggested we set up a marbling studio so that I could carry on learning and making. Marbling; Art or Craft? If “both” wasn’t a possible answer, which of the two would you choose and why? In my opinion I think that Paper Marbling is considered to be more of a craft than an Art Form. I would personally actually put it into the category of ‘Decorative Arts’ though! Decorative Arts are arts or crafts whose object is the design and manufacture of objects that are both beautiful and functional – and I think marbled papers fit perfectly into this. Marbling has a certain allure that is difficult to define. According to you which is the element that sets marbling apart from other arts and crafts? I think one of the big draws with marbling is that it has an air of mystery surrounding it. There are not many people that still practice marbling and until you actually see it being done its hard to envisage how these designs are created. Marbling, especially if practiced for a living, involves a lot of repetitiveness. Although the end result is never quite the same a certain degree of similarity is required when producing a specific pattern. Furthermore the process is more or less the same across most patterns as far as the maker is concerned and it can be repeated dozens of times in a single productive day. Some people would find this relaxing while to others it might feel suffocating. What is your view on this aspect of marbling and how does it affect you? A day or even several days producing the same pattern (especially for very large orders) can become very repetitive and the body has a certain degree of muscle memory so our arms carry out the same movements over and over again. It is more relaxing though as we don’t need to keep re-mixing paints or concern ourselves with the challenge of constantly swapping from one pattern to another which can be very time consuming. After doing the same pattern for more than 50 sheets i’m always desperate to see a change of colour and pattern! Would you give us an insight into a marbler’s day? Besides standing above the marbling tray and actually making the papers what other tasks are there for the marbler to tackle? Our days generally form the same structure. Craig takes down the previous days marbled papers from the drying racks and gives them a light iron before putting them under the press. During this time i’m usually catching up on admin and emails. We then both have a coffee break and catch up on enquiries, discuss what we need to do that day and maybe do some filing, invoicing or accounts work. Afterwards we pack up any Marbled Papers or products that are ready to go and this can often take a couple of hours if we have a lot of papers to ship. We start marbling just before lunch, when we return its full on marbling until we either fill the drying racks or complete what we need to do that day. Its easy to forget that a creative business is still a business and although I would like to spend all my time producing there are still all the other elements that make up running a business. Could you share with us the most demanding aspect of being a marbler and also the most enticing and rewarding? The most demanding aspect of marbling is usually getting all the materials to work together correctly and achieve the correct result required. paints / ‘size’ / Alum / and other materials just not co-operating with one another can be frustrating. Producing certain designs are always more tricky such as those that use oils or other compounds which can take a lot of time, trial and error to get them co-operating with the “size’ and paints. Most rewarding is hearing the lovely feedback we get from our wonderful customers who always spur us on to keep creating and coming up with new ideas and products. Bookbinding and marbling go a long way back. Marbling has been the standard for endpapers, and in many cases covers (quarter bindings for example), for a few centuries and the symbiotic relationship continues to flourish. 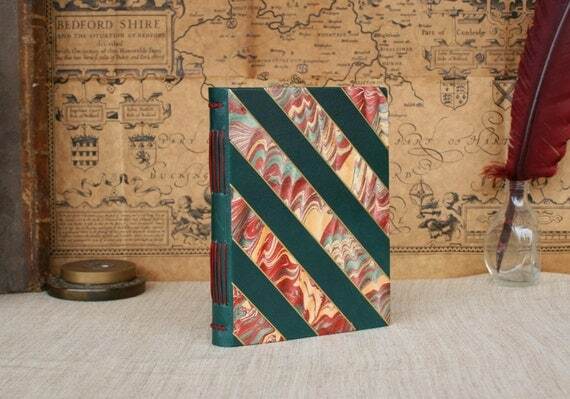 What is it that makes marbling so fitting for bindings and books in general? Is it just a visual habit, relic of the long pre-modern era of bookbinding, that has cemented itself in our subconscious regarding how we expect the “archetypal” binding to look like, or is it something beyond that? Working for a bookbinders was where I first became properly aware of marbled papers and was amazed at the variety of colours and patterns. It was also interesting to see that although the outsides of the books, often gilded leather bindings, were very worn, the endpapers inside looked fresh and bright. I always love opening up an antique book to see whether it might have marbled endpapers! I think we have now long associated books as having marbled endpapers or sides though these days it is seen as more of a luxury to add marbled papers. Frequently publishers and bookbinders are looking for custom marbled papers that fit in with the title or theme of a book so for example we have produced papers that look like a glistening river for Wind in the Willows and papers that look like sandy dunes for Lawrence of Arabia. What is the status of marbling in our days? Is it a fading practice or is it being rediscovered? Where does it fit in the modern age? When I started marbling it still felt very much like the domain of the bookbinder and I felt this would be my sole customer base. Over time marbling has seen an increased popularity thanks in part to practitioners being able to share what they create through social media and other designers using the concept of marbling within their work which in turn brings it into the public eye, increasing its popularity. 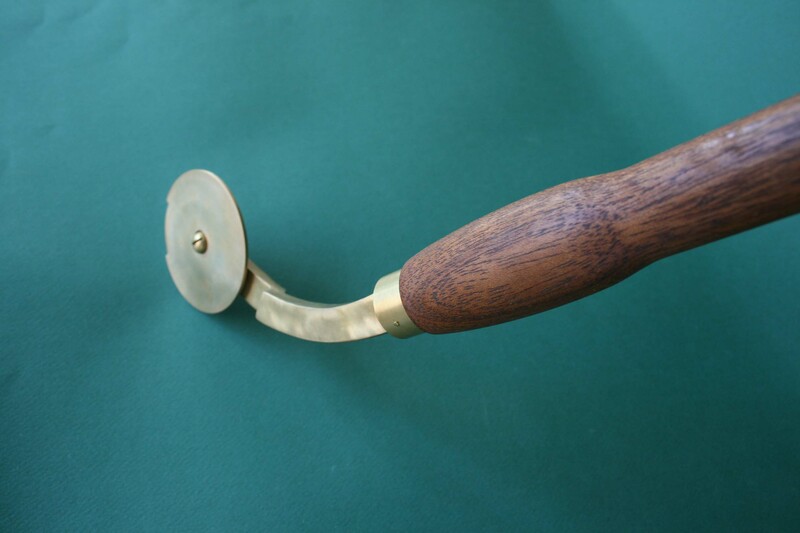 Traditional crafts have themselves seen a resurgence so those that were once seemed a rather outdated and old fashioned are gathering more interest. We have found that our papers are being used now for many varied uses, book binding is still a key area of use but we have produced papers more recently for a very broad spectrum of uses including; fashion, packaging, interior products, stationary, gift items, the music industry, branding, social media, and for other arts and crafts producers to use on products. Most recently one of our designs was used on edible paper! Hope you enjoyed the interview! Yoy can read more interviews by visiting the blog’s page Techniton Politeia. You can find me at koutsipetsidis@gmail.com or leave a comment here and I'll get back to you!